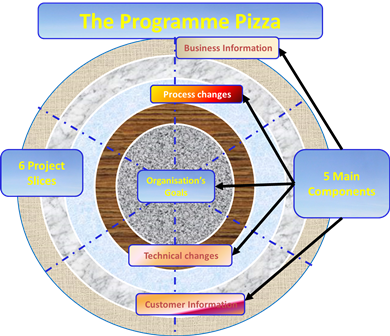 The approach to project management, its practice, and the lessons for success apply to all projects. We will be presenting short articles on Project Management, Programme Management, and Risk Management. There would be disruption of customers, suppliers, staff, and the costs associated with it: lost profit, lost sales, possibly lost customers, and, if the work is sensitive and in the public arena, a lot of unwanted attention in the media with the extra cost of PR to set out the position, to try to still the storm clouds. I can recall a job almost 30 years ago where the cost of delay was estimated at £2 million per week. Happily, that one came in on time and on budget. Why? If you have a project in mind and would like to discuss it with someone please contact us. If you would like to discuss how to set up a project office and a programme please contact me by clicking on this email link.